I trained for the ITEC Diploma in Reflexology at the Seven Wellbeing Centre in Stockton-on-Tees, passing with Distinction and awarded the Certificate of Outstanding Academic Achievement. All training offered by the centre is delivered by an experienced teaching team with specialist knowledge and experience gained through many years of practice within a clinical field. The courses are designed in consultation with complementary therapists working within hospice care who provide a unique insight into the experiences of working as part of clinical team. I have been trained by Julie Crossman, an expert and experienced practitioner in complementary therapy, and a specialist in reflexology. Julie currently heads up Complementary Therapies at the Sir Robert Ogden Macmillan Centre in Harrogate, treating patients with cancer. She has a wealth of experience in using reflexology to help with a myriad of conditions, including multiple sclerosis and motor neuron disease. To read more about Julie see her webpage. 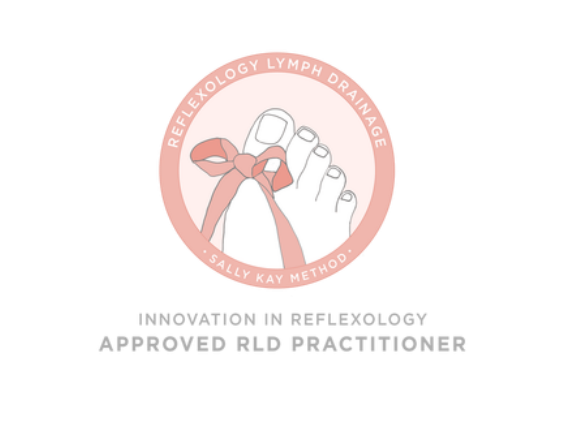 In May 2015 I have completed the advanced reflexology training in Reflexology Lymph Drainage. This is a specialised sequence isolating the lymphatic system reflexes on the feet, and has proved significant in the management of secondary lymphoedema as well as beneficial to other disorders such as arthritis, migraines and auto-immune diseases. In April 2017 I completed my Diploma in Clinical Acupuncture from KORE Academy. September 2018 I continued by acupuncture training to include Facial Rejuvenation, again with KORE Academy. Also in September 2018, I completed my studies as a Certified Foot Reading Practitioner with the Foot Whisperer Reflexology Institute in Florida, then went on to complete a workshop in Advanced Foot Reading. During September 2015 and May 2016 I completed two online study courses in nutrition with FutureLearn: Nutrition and Wellbeing (University of Aberdeen) and Food as Medicine (Monash University). Also in 2015 I completed a level 2 Certificate in Understanding the Care and Management of Diabetes with the Bridgewater and Taunton College. I am a member of the Association of Reflexologists meeting the strictest of standards in reflexology practice and a commitment to continually developing my skills and knowledge. Alongside my reflexology training I have also gained a huge amount of personal development and growth through Neal’s Yard Remedies Organic. Personal skills such as leadership, mentoring , self-confidence and self-belief, have all grown enormously. Please join my customer group on Customer Facebook Group. Not only have I grown personally, but have also gained a wealth of knowledge about skincare and wellbeing, upon which I continue to build upon week in week out. If you would like to know more, why not get in touch?